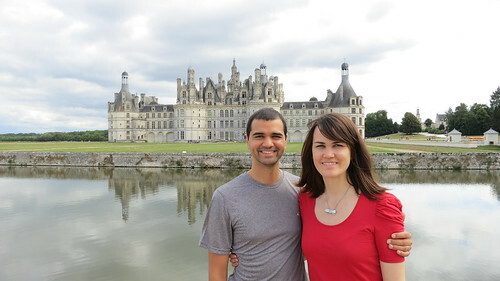 Our trip to France started with a weekend trip to the Loire valley. 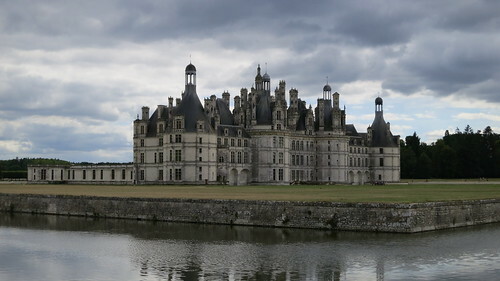 The Loire is 100 miles south of Paris, full of chateaus (castles), villages, wine, and quiet landscapes. Lucas' childhood friend Nicolas planned our whole trip and was our tour guide and driver in the cities, so it was easy to jump in the car and go. We left for America on Thursday, August 29th, arrived in France on August 30th, and spent Friday through Sunday, September 1st in the Loire. 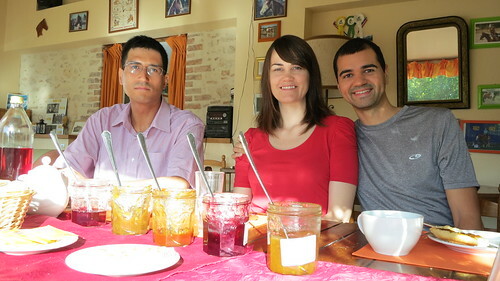 ...But before I talk about that, I have to talk about how we started our 2nd European trip. We flew Air France on the A380 massive, 2-decker plane. This time they got the message of our special meals. The food was odd and one meal had two pieces of cold, hard tofu - so I will just say, try to avoid the food if at all possible when flying if you're vegetarian/vegan. The stewardess brought around a bucket (and I really mean bucket) of small French baguettes and even ice cream at 10pm. Very odd indeed, but that was just a peek into the French food for me. We arrived at CDG at 11am where Nicolas was waiting with a sign with our names. We drove to Paris to find our Air Bnb apartment in a beautiful and perfectly located area in the 5th arr. (near the Latin Quarter and the Pantheon). We quickly got inside to take a look, grab the key and clean up. The pictures of the room online made it look really MUCH larger than I thought. It was the cramped French living I had heard about, bien sur. It was a loft layout with the bed up this ladder/step/bookcase, and the "couch" I thought I saw in the photo was actually a pillow sitting on the ground! The bathroom was honestly a glorified closet that somehow shoved a shower, sink and toilet in somehow? Very odd, but cute, secure, and was not inviting me to spend my days lounging around the house. It forced us outside, which was perfect for our stay in Paris. 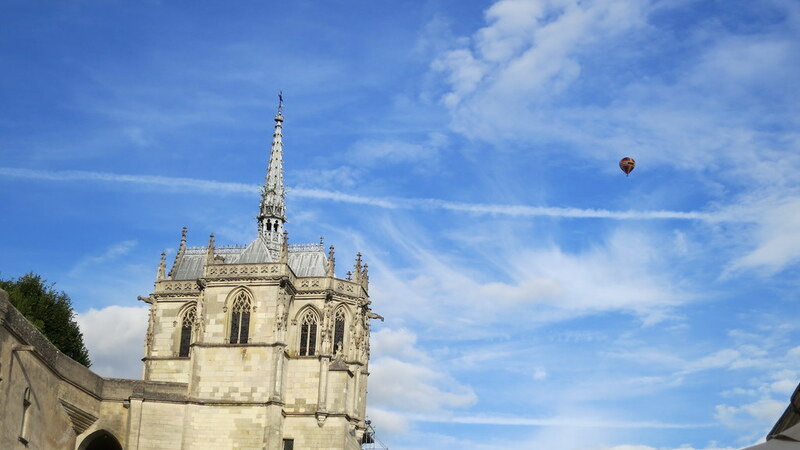 We drove to Blois, a city in the Loire Valley first. We were both extremely tired, and I fell asleep on the way. It was only a 2 hour ride, and when we got there, we got to see the city at dusk, walk by Chateau de Blois, and watch people drink wine in the parks. We also got our first sight of the Loire river that separated each city with its massive width, but calm waters. We strolled around the city before driving to our final stop for the night at the bed and breakfast near Chateau de Chambord. The house was in what seemed like the middle of nowhere. There was NO sounds of the city and as we arrive the sun was setting so we would soon see no light pollution and only stars. It was refreshing and almost shocking to hear and see nothing at night. The owner was very nice and spoke English, she lead us into our room and we came out to eat dinner. There were two other couples staying there and eating dinner with us. One couple was an old French couple, and the other was an older Dutch couple. There were three languages that would be constantly spoken and translated and mistranslated at the dinner the entire night. We ate snacks and wine on empty stomachs and waited for our "special" meal made for us, that eventually only amounted to potatoes and vegetables, more bread, and more wine. The table got confusing as I would wait patiently for the conversation to be translated for me. I would misinterpret what I thought they were talking about in French, and the Dutch man (who looked like Asterix the Viking cartoon to everyone) and I would sit smiling at each other saying we did not understand a thing. As the chicken came out and the table counted not enough food, and as we did not reach for chicken, the confused looks got even stronger. The conversation turned to only ask questions about our diet, which I hoped to avoid for my boredom and annoyance would kill me. The questioning lasted two hours on and off, and luckily the French got more carried away with talking about how the government, taxes, and big business would take over their lives rather than how vegans are weird. This is when I still had a taste for bread, but I would not tire of the wine. The hosts suggested we take a ride to see the wild animals running through the forest and the illuminated castle at night. We were tired, but not too tired to see wild boar running through the streets. The warned us not to hit and kill any boar because the vegetarians may be upset. These lame jokes would continue through the French trip, but would luckily stop in Scandinavia. We drove the car through the pitch black road filled with forest on either side. In less than 30 seconds we saw a wild boar running across the street followed by a wild deer who stopped to stare. The castle lay ahead about 2 miles and we took photos and roamed around the pitch black trees that lead up to the entrance. It was eerie to be out where there were no sounds or sights, only the sound of your shoes and the cold air on our necks with the big dipper shining the only light on our path. We headed back and slept super well after a very long day. The next morning was our first day in the Loire. We ate about 8 small baguettes with homemade jams of rhubarb, maribels, apricot and more. 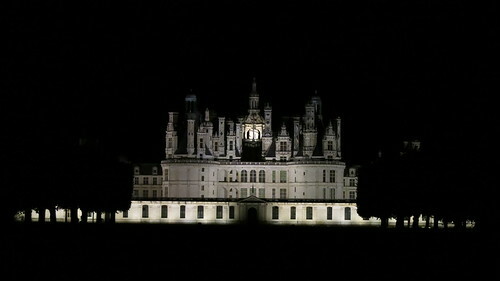 We drank our coffee, watched the beautiful scenery out the floor-to-ceiling windows, and went to Chambord by day. The three of us toured the castle, an old hunting castle, and strolled around the large parks and moat. It was a little overcast, but great weather. We sat together and ate a picnic lunch of baguette sandwiches and fruit. We tried to roam through the forest but mostly hit into thorny trees and spiders. We drove to Amboise for dinner, very disappointing selections of “vegetarian salads” that had fish (I guess French think that seafood (they call ‘fruits de mer’ fruit of the sea, is actually a fruit?). There was one natural grocery store tucked away, but she assured us that the search would be fruitless. After roaming the cobblestone streets, seeing the Loire river again, and we waited hoping hopelessly for a Chinese restaurant to have anything except pork. There was a great ice cream shop that had chocolate sorbet that was spectacular. But to get the ice cream, I had to use my first bit of French. Annoyed and unamused, they started aggressively pointing to the size of the ice cream I wanted to spoke in English. My first bit of European customer service was quite stereotypical. After realizing our expectations of Amboise food were correct, only meat in the gross Chinese buffet, we ate flat, tasteless pizza at a random restaurant on the main street – with beer. Sadly, my expectations of France were being realized, but I was still open for them to surprise me and try harder with my French. That night, we spent another night viewing a castle. 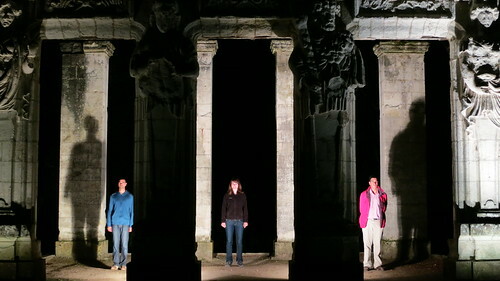 This time it was a special event where they play music and open the area for only a couple tourists at night. 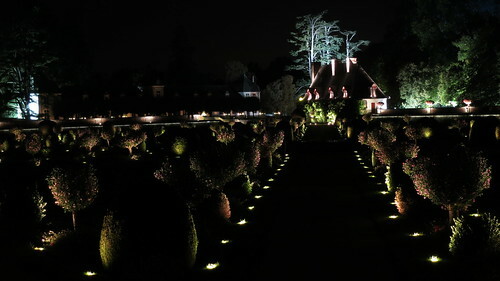 It was at Chateau de Chenonceau. After playing around in the dark forest full of buggies, spiders, and classical music, we slept at a common hotel, Ibis and fell dead asleep again. 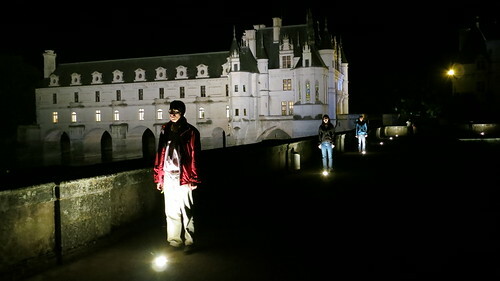 The third day in Loire was spent on a Sunday in Europe – which I didn’t realize is when the Europeans hide in their houses all day and every store shuts down. Is it from a super religious past? Or a farming ritual? Whatever it is, it is very annoying to spend the day where the city is a complete ghost town! We visited Tours for our last day, but to our surprise, nothing was open. Nothing at all. The only food options I left for the last day were closed, all of the shopping, the castles, etc. Tumbleweeds flew down the streets basically. Anyway, we walked the city and found the one square where tourists hung out and ate ice cream, and left soon after. We went back to Nicolas’ house for dinner instead, and then he dropped us off in Paris by 10pm.